THE BEST ... NOW EVEN BETTER. II-VI Infrared’s MP-5 is an ultra-low absorbing lens that ships directly from the factory as a standard OEM CO2 laser component. Its superior features include a patented coating design enabling lower thermal distortion, visible transmission for reduced set-up time, and easy detection of thermally induced stress. The MP-5 is backed by over a decade of proven performance, and this ultra-low absorbing lens is designed, produced, and supported by II-VI Infrared, the world leader in CO2 laser optics. 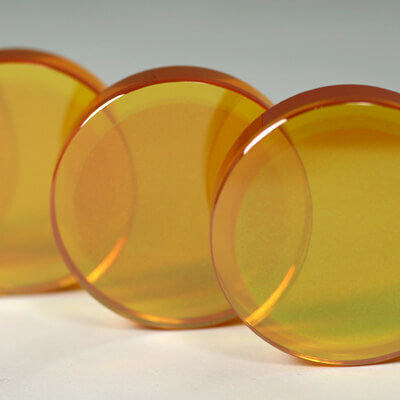 A specially coated zinc selenide (ZnSe) focusing lens, the MP-5 is available in both 1.5” and 2.0” diameters, and ships in 14 standard replacement lens configurations for most popular OEM laser models.